My rabbit gave birth last night at 10:05pm. Before she gave birth I watched her all day. The normal behavior of making nest, pulling hair, etc she was displaying. When she gave birth she didn't clean up all the blood which I thought was a little odd. Today she is behaving in the same manner as yesterday and she is still swollen. She is acting as if she is expecting more kits. 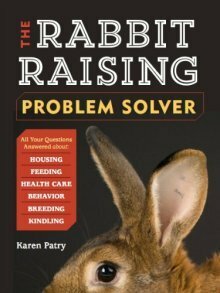 Is this possible to give birth again after just having kits? It is possible to give birth again, but not common. The reason would be retained kits, and these kits might be born either dead or alive. Sometimes a doe will have most of the kits on one day, and then deliver one a day for another day or two. I too have noticed that my does still look a bit chubby after kindling their kits. But they still don't have any more than the first batch. I think their chubbiness is from enlarging mammary glands and from the birthing tract still in the process of returning to normal after being stretched and swollen with babies. The things you describe aren't exactly run-of-the-mill, but they aren't unheard-of, either. Do you mind letting us know if your doe had more kits or not?